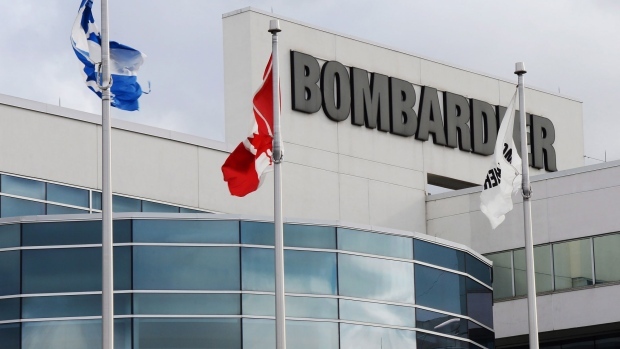 MONTREAL - Bombardier Inc. says its largest jetliner, a massive rail backlog and aftermarket services will propel the plane-and-train maker to 10 per cent revenue growth in 2019, roughly in line with analyst expectations. The 2019 guidance comes in the wake of a 60 per cent stock dive over the past five months and recent restructuring plans that will see 5,000 employees -- including 3,000 in Canada -- lose their jobs over the next five years. The Montreal-based company, which reports in U.S. dollars, forecasts total revenues of about $18 billion next year, as the freshly certified Global 7500 -- its longest-range business jet -- enters into service. The jetliner, sold out through 2021, will contribute to an expected $6.5 billion in business aircraft revenues. Both figures align roughly with analyst expectations, according to Thomson Reuters Eikon. A $34-billion rail backlog will furnish more than 80 per cent of the railway division's projected income of $9.5 billion for 2019. The company forecasts a 30 per cent surge to between $1.15 billion and $1.25 billion in total earnings before interest, tax and special items.